October is National Seafood Month, a time to celebrate the health benefits of choosing seafood twice a week. And the more variety the better, so top your table with sustainably caught or farmed-raised fish and shellfish including salmon and sardines, tilapia, cod and catfish, shrimp, scallops, and lobster (or as we say here in New England, lob-stah). 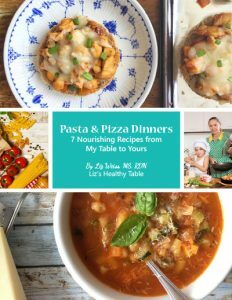 This is my biggest recipe roundup ever! 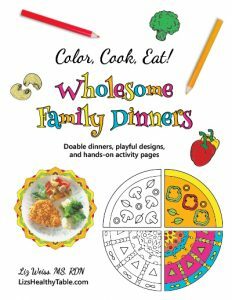 Stumped for seafood recipes your family will happily eat? Look no further than the 57 recipes I’ve gathered right here from some of my favorite food bloggers on the web! 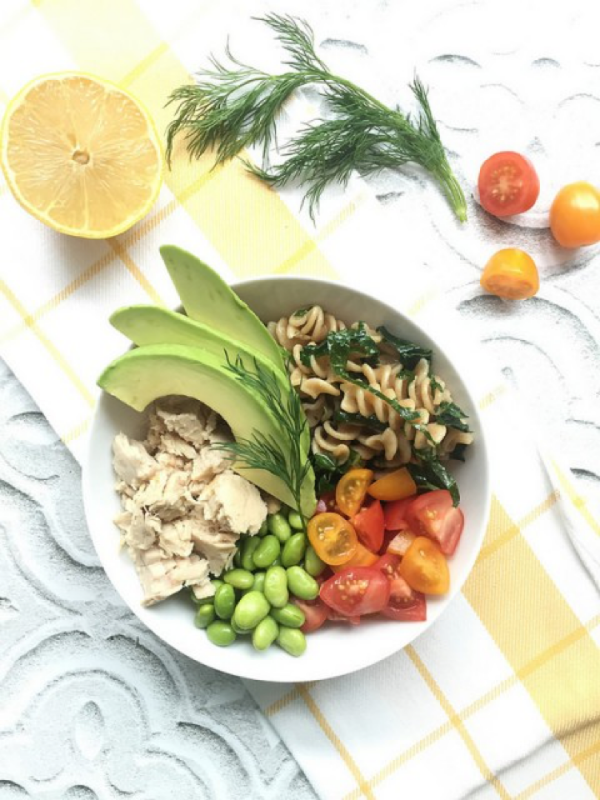 Scroll down for everything from Teriyaki Salmon cooked quickly in foil packets to Tuna Pasta Salad made with convenient canned tuna, whole grain pasta, and crunchy apples and celery. 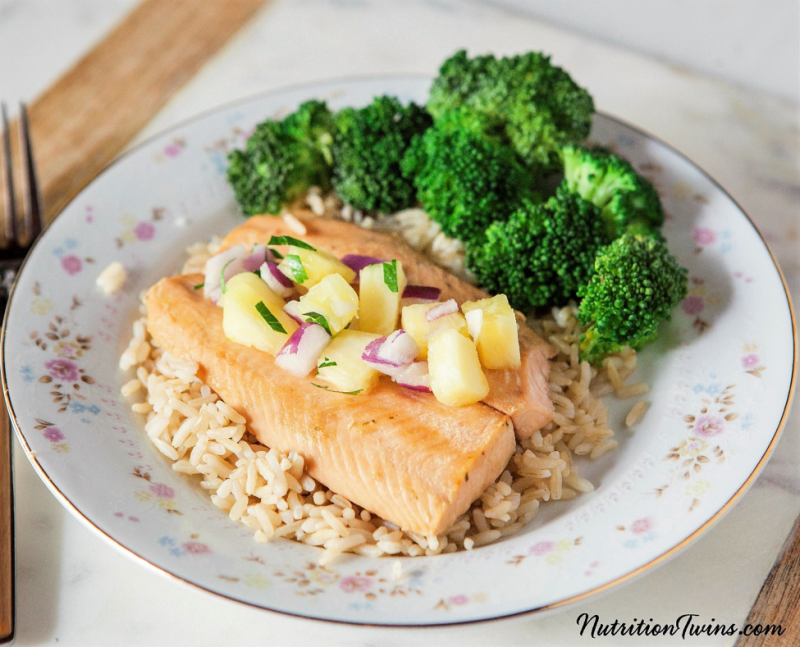 SALMON: Salmon is my personal favorite, because I love the taste (personally, I prefer the flavor of farm raised) and the omega-3 fats, which are good for heart, eye, and brain health. 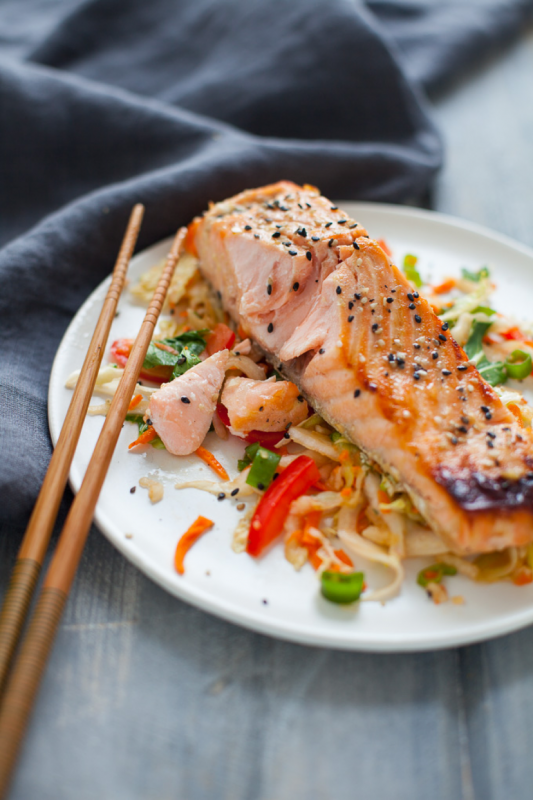 Most people don’t get enough omega-3s in their daily diets, so choose salmon often to meet your daily needs. Want to know more about HOW much omega-3 you and your family need each day? Take this QUIZ. 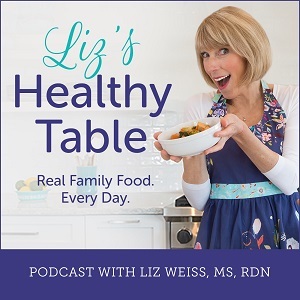 Did you know I have a radio podcast called, Liz’s Healthy Table. 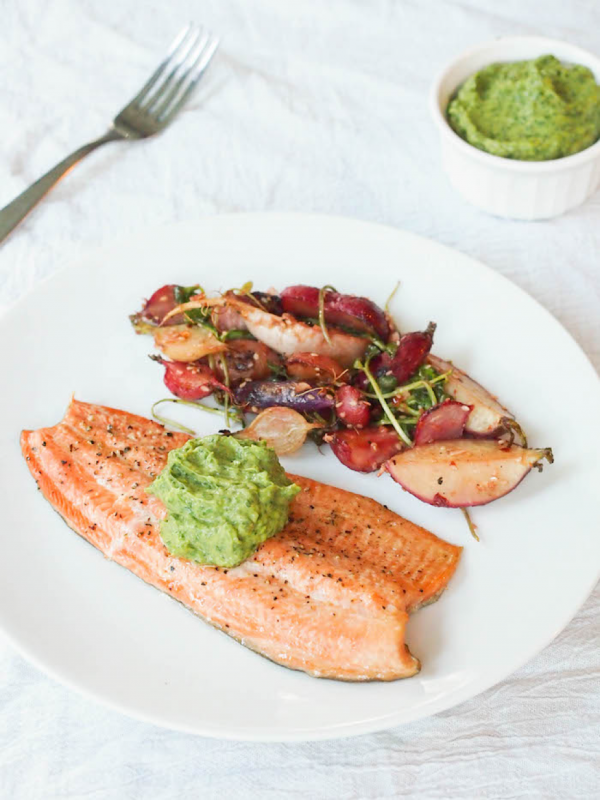 This week’s show is all about omega-3 fats, salmon, and seafood. I hope you’ll tune in! But keep on reading for more seafood recipes. Who doesn’t love a hot food trend? I sure do, and I can’t get enough of the sheet pan dinners that I’m seeing on blogs and in magazines. 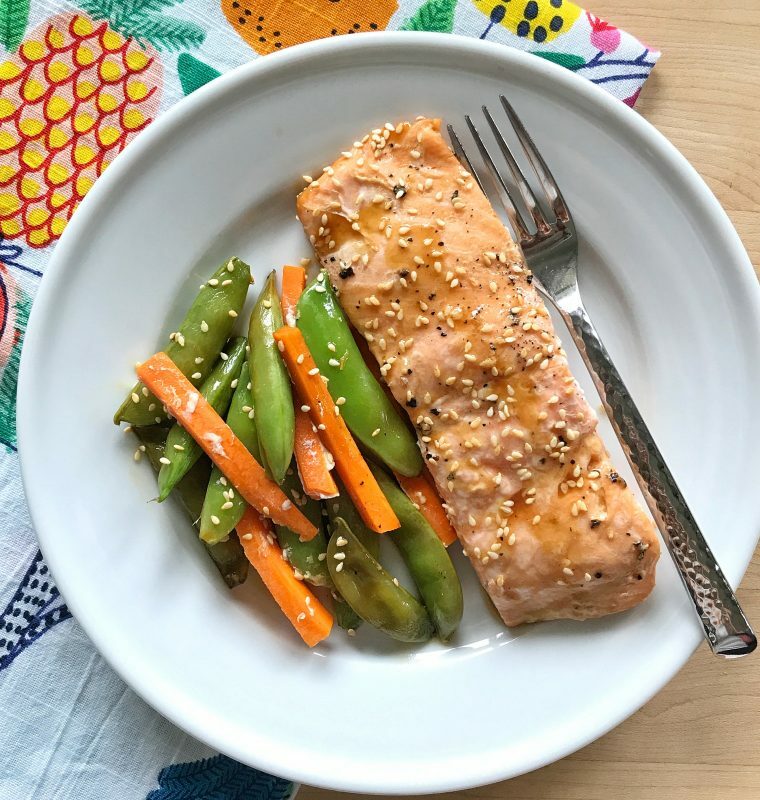 My Teriyaki Salmon, Snow Peas, and Carrot Packets are easy … because they don’t dirty a pot or a pan! Shrimp and Scallops: I’ve been on a bit of a frozen shrimp jag lately. I’ve used frozen farm-raised shrimp in a chowder (recipe coming soon), in grits, and in quesadillas. Versatile. Kid friendly. Convenient. And clearly, I’m not alone. Tuna: My pantry is always stocked with canned tuna. Whether it’s packed in water or oil, I often mix it with light mayo and plain Greek yogurt and use in sandwiches, salads, and protein bowls. Tilapia, Cod, Halibut, and other fish: While salmon is the richest source of omega-3 fats, white fish like tilapia, cod, and halibut are also good sources. They’re mild in flavor, so even the pickiest eaters at your table may be willing to try it! Okay. Now it’s your turn. 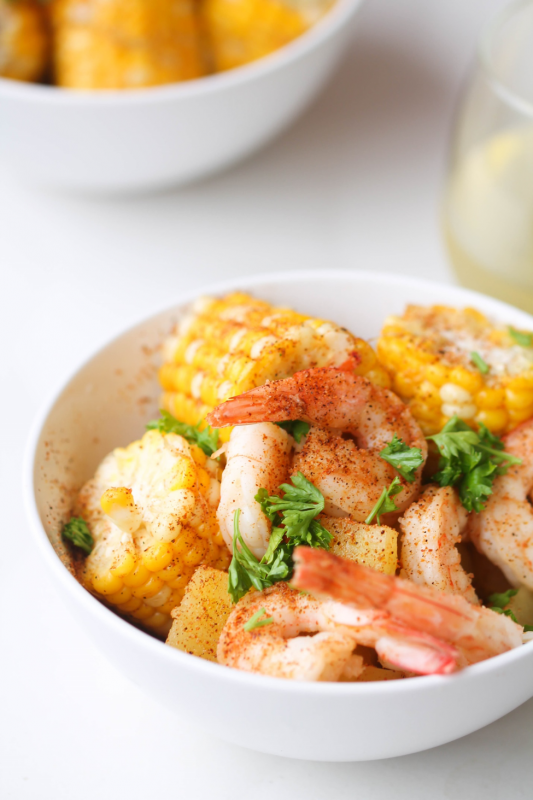 What’s your family’s favorite seafood recipe? Great roundup Liz! I love the variety here – thanks for including me! 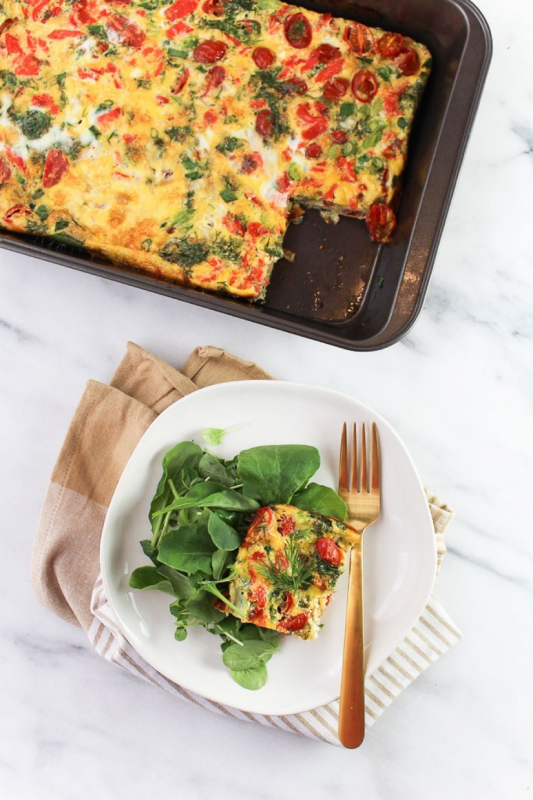 This is such a great (and delicious looking) round up! 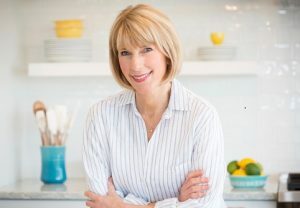 I love seafood and can’t wait to try some of these recipes. What a great looking collection! 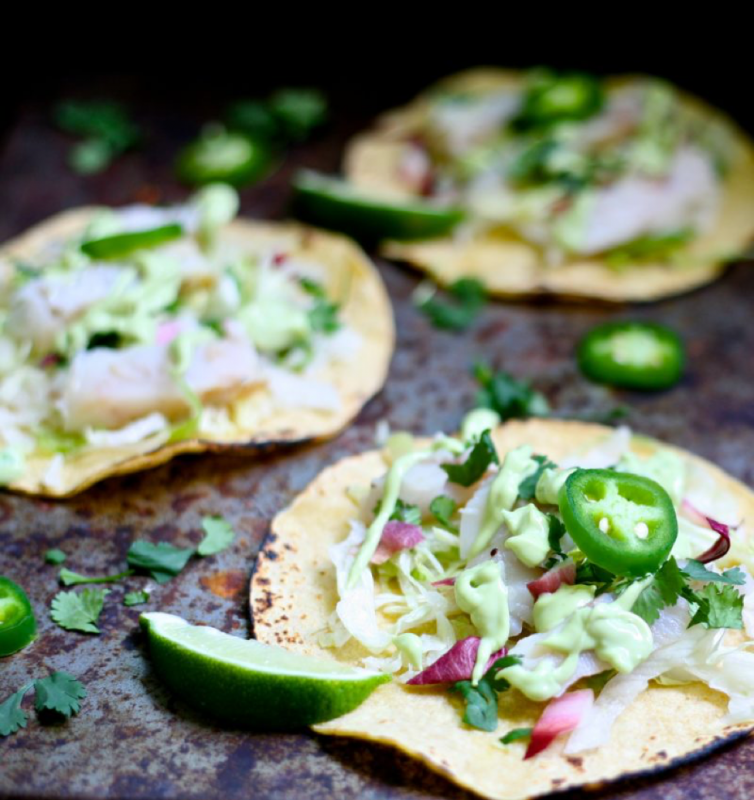 I love fish and can’t wait to include these recipes in my weekly meals. 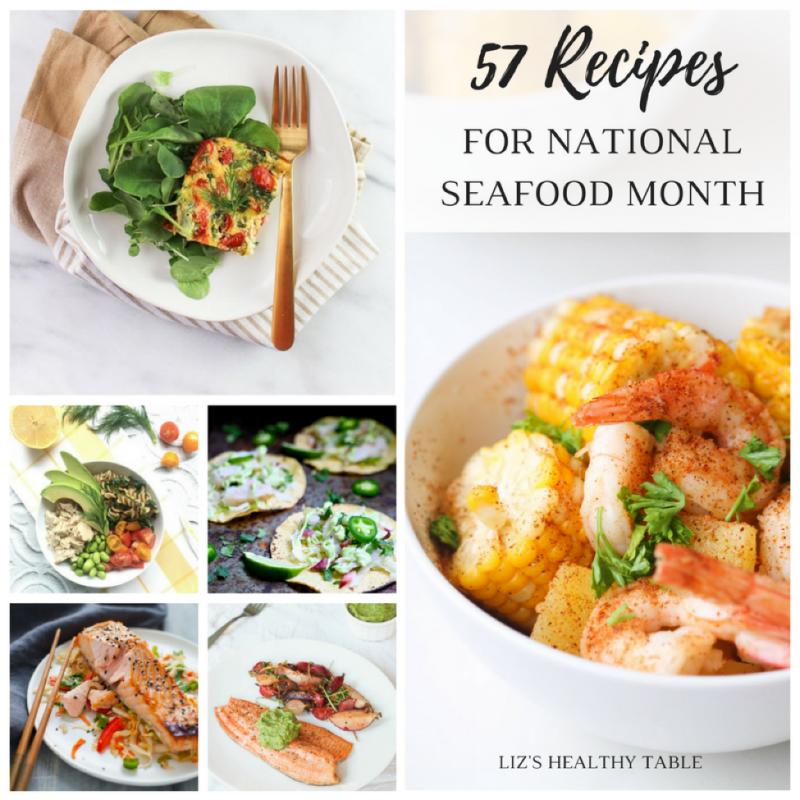 What a great collection of seafood recipes! Looking forward to trying some of these. And thanks for including my salmon dish! So many creative and delicious looking meals.. I can’t wait to give some of them a try! Thanks so much for including my Sheet Pan Fish n Chips and Salmon Burger! 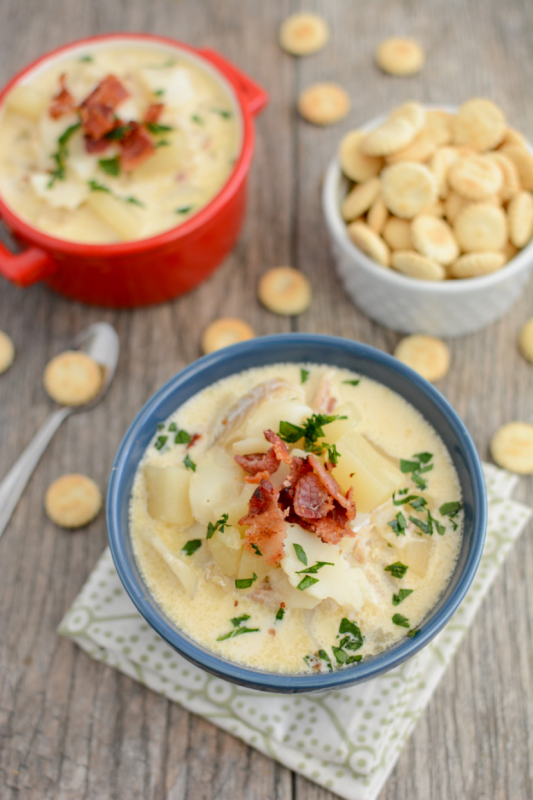 Great Recipes for people of all seafood tastes!!! Great roundup! 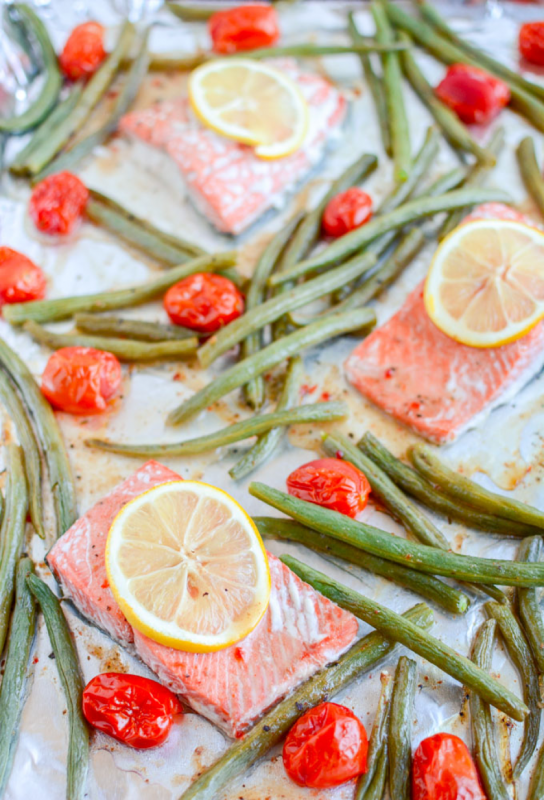 Thanks for including my sheet pan pineapple salmon stir fry!